Are you a Bachelor or Master student looking for an internship? The High-harmonic generation and EUV science group at ARCNL has multiple openings for students with the ambition to do cutting-edge scientific research in a state-of-the-art laboratory. The High-harmonic generation and EUV science group develops and utilizes new high-harmonic generation based EUV and soft x-ray sources for spectroscopy and metrology applications. Specific areas of interest are attosecond and femtosecond time-resolved spectroscopy of complex chemical and solid-state dynamics, new strategies for efficient high-harmonic generation, as well as new routes for nanometer-scale imaging of semiconductor structures. Our group is equipped with a Ti:Sa lasers for high-harmonic generation. In addition, a unique, world-class 2 mm, 50 kHz, multi-mJ optical parametric amplifier system (OPCPA) is under construction. 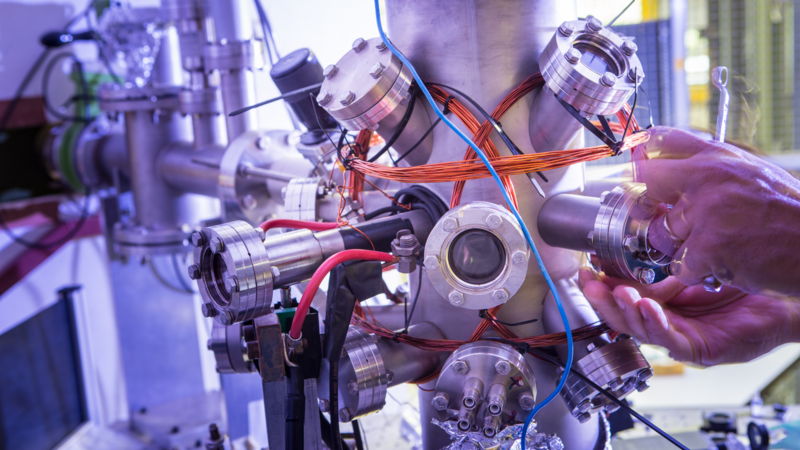 We offer a dynamic and open environment, and aim to provide optimum conditions for young scientists to do exciting research, and to work on challenges in physics with interesting fundamental aspects, but which may also have direct technological relevance. The Advanced Research Center for Nanolithography (ARCNL) focuses on the fundamental physics involved in current and future key technologies in nanolithography, primarily for the semiconductor industry. ARCNL is a public-private partnership between the Netherlands Organisation for Scientific Research (NWO), the University of Amsterdam (UvA), VU University Amsterdam and the semiconductor equipment manufacturer ASML. ARCNL has just moved to a brand new building at Amsterdam Science Park and is currently building up towards a size of approximately 100 scientists and support staff. You are currently studying physics, chemistry or a related subject. The internship must be a part of your curriculum. You have a nationality of an EU-member state and/or you are a student at a Dutch University. You must be available for at least 6 months. In exceptional cases, shorter durations are possible. At the start of the internship your trainee plan will be set out, in consultation with your ARCNL supervisor. An internship contract will be established, including a small allowance. Commercial activities in response to this are not appreciated.